Kids will enjoy helping you make this fun recipe for Halloween. 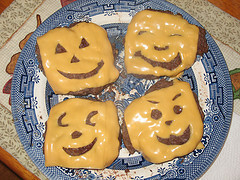 They will delight in making their very own jack-o-lantern faces out of cheese. You can make sliders or regular sized cheeseburgers. Feel free to incorporate healthy ingredients like ground turkey or soy burger patties. 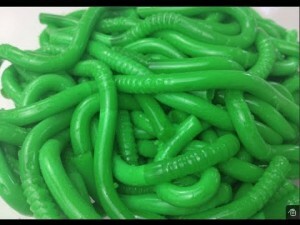 Green gummy worms are one creepy, eewie and gooey recipe that the kids or grand kids will love helping you make this Halloween. This one is just plain good old fashioned fun! Whip this one up and the kids will always remember those slimy worms. All it takes are a few simple ingredients and a little time. Nothing goes better with the Oktoberfest food experience than a warm serving of hot German potato salad! I don’t know if it the crispy bacon or the sweet vinegar flavor that does it for me. All I can say is I love it! 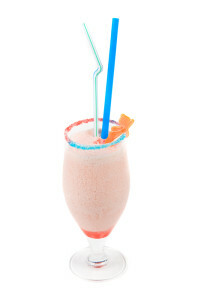 You may also be surprised at how simple this recipe is to make. Be sure to make plenty however, as this one tends to disappear from your guests plates quicker than you can say boo! This recipe is great for Halloween dinner too! 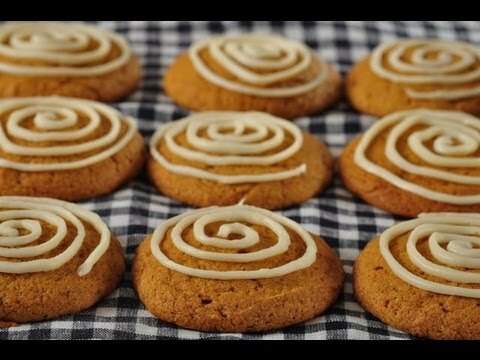 These pumpkin cookies are easy to make and extraordinarily delicious! Not only are they great for Halloween treats, they would make an excellent treat for Thanksgiving as well! These cookies are soft and are topped off with a delicious cream cheese, butter cream icing. Is anybody besides me thinking yummy? The Spooky Brain Chicken Salad recipe is not only a healthy alternative this Halloween, it is simply a delight to make! The kids will enjoy participating in constructing this “brain”. 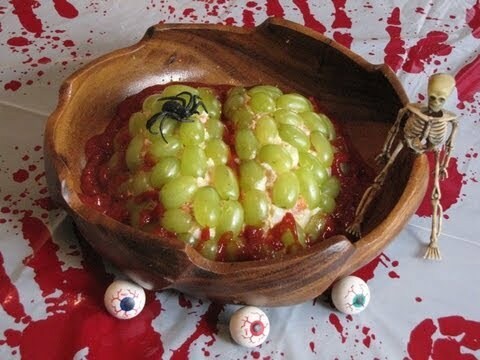 Be prepared, I’m sure it won’t last long as your guests will be sure to devour this at your Halloween party. It might pay to make more than one! I just love pumpkin recipes! 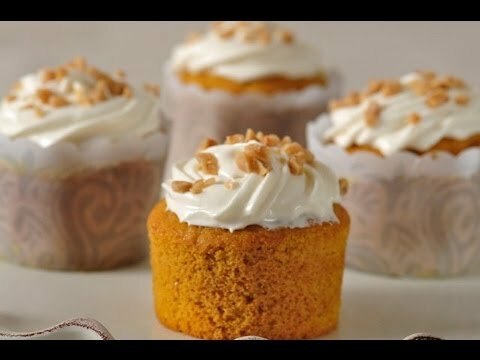 This delicious pumpkin cupcake recipe is easy to make and simply delicious. These won’t be sitting on a serving plate for very long. The delicious homemade cream cheese and butter icing will be much too hard to resist. If you are making these cupcakes this season, you might want to consider making a double batch-or even a triple! These pumpkin cupcakes are that good. 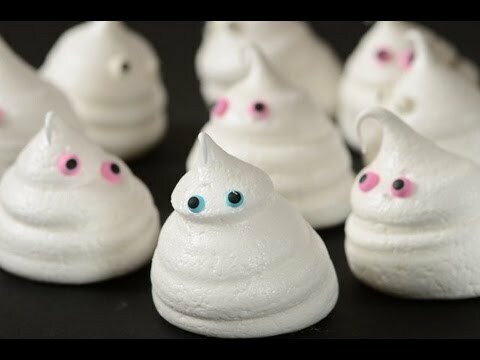 Kids of all ages will love this fluffy meringue ghosts recipe this Halloween! Tasty, light and delightful, this recipe is very easy to make with only a few simple ingredients. There won’t be one crumb left over on the plate! 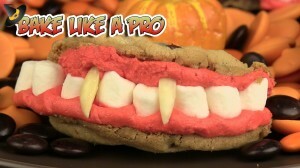 Make this appealing treat for your Halloween party this year! Serve up some delightful and frightful Mini Mummy Pizzas this Halloween! The kids will really love to help you make these whimsical mummy head pizzas for a delicious Halloween treat this year. It only takes a few simple ingredients to bring these mummies to life. Featured are three videos to guide you through the entire process.